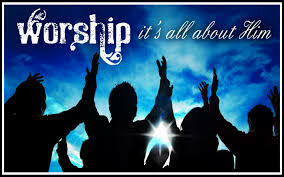 The phrase “praise and worship” usually has within it two different thoughts for the person who hears those words. For the musical part of the Sunday gathering, “praise and worship” is a good term. In fact, if we could learn the differences and distinctions between the two, we would be more prone to using the phrase and applying it accurately during that part of the service. While both terms move us toward the idea of “singing,” both of them as used in the Bible come from words that speak to the use of the physical body. There are ten different words translated “praise” in the OT. Strong’s #4110 (mahalal) (Pro. 27:21). We can gather a few things from this list. Praise can seem like a party. Praise can move us toward worship. Angels are exhorted to praise the Lord (Ps. 103:20; Ps. 148:2). All those who dwell on the earth are so instructed (Ps. 117:1; Rom. 15:11). We are to praise Him with singing (Isa. 12:5; Ps. 9:11). We are to praise Him with shouting (Ps. 33:1; Ps. 98:4). We are to praise Him with dancing (Ps. 150:4). We are to praise Him with musical instruments (1 Chron. 13:8; Psa. 108:2; Psa. 150:3-5). As a verb, ‘praise’ means to express warm admiration for or approval of someone or something. As a noun, it is simply that expression of the same. In our context, it is the joyful celebration through musical expression of all God has done for us. Praise is closely intertwined with thanksgiving as we offer to the Lord appreciation for His mighty works on our behalf. Praise does not require anything of us. It is merely the truthful acknowledgment of the righteous acts of another. Since God has done many wonderful deeds, He is worthy of praise (Psalm 18:3). In the NT there are nine words that are translated ‘praise.’ Only two have that basic meaning and are so translated, while the others are mainly translated by some other word, ‘praise’ being used only once or twice due to context. The two that are instructive for our purposes are Strong’s #133 (ainesis), and Strong’s #5214 (hymneo). The first is used only once and the second is used four times. The verses where we find the word is what provides our instruction. Obviously, the second one has to do with a “hymn,” which is how it is translated in Matt. 26:30 and Mk. 14:26. It is translated by “praise” in Acts 16:25 and in Heb. 2:12. This verse specifically sets forth what we have been discussing here. Why keep ‘praise’ first? Is it just the euphony of the word order? Or, could it be that ‘praise’ is to go first in our experience? “Enter” is a word that indicates the beginning. You cannot arrive in my living room without first entering my house. Entering is first in order. And we are told how to enter—with thanksgiving and praise. Therefore, the first part of the song list should be more about praise and thanksgiving than anything else. The songs should also be jubilant, celebratory, upbeat, boisterous, joyful. Let’s recall that the people are coming into the sanctuary after a week of doing battle out in the world. They are marred, charred and scarred. They need to be healed. They need to be encouraged. Music has the power to do that. It also has the power to keep us in the frame of mind with which we entered the building. While that is not “depressed” for the majority of your group (I hope), they are at least weary. To greet them with a funeral dirge is counterproductive to what you are hoping for as a result of your music ministry. Because I am not a musician (though I understand a few things about music), I thought it best to validate the conclusions I’ve drawn from my observations over the years with another’s take on what I have discovered. There are clues here as to how to arrange a set list for the praise and worship portion of our Sunday gatherings that will honor the Lord and bless the people.